Thoughts for all of the victims of last year's Boston Marathon bombing. Boston Strong. Runners will take to the streets again on Marathon Monday. 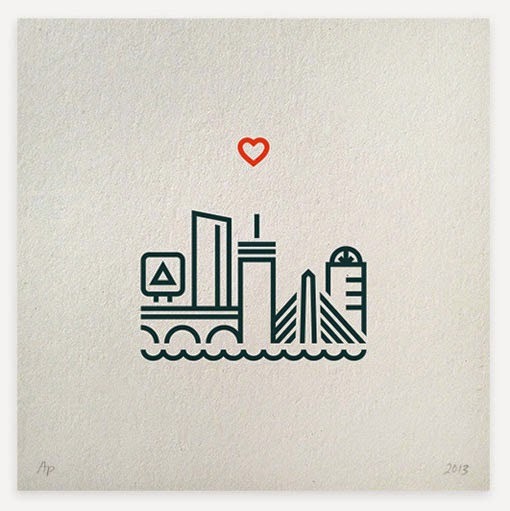 print via One Heart Boston by Aaron Bouvier (no longer available).